In August and September, we had a pretty amazing experience. 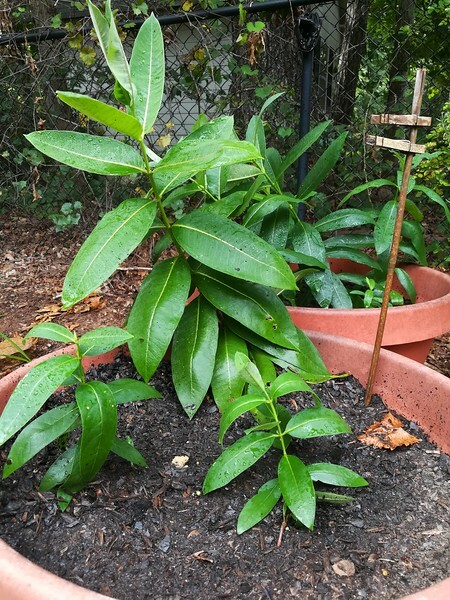 It started because last spring, I tried planting some milkweed seeds. 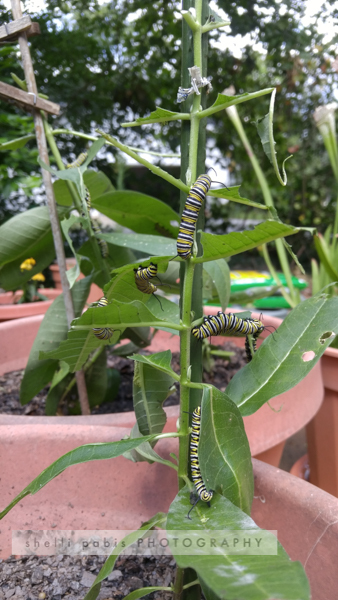 My plan was to grow a lot of milkweed, and then I would order some monarch larvae and try to raise them just like we did for painted ladies four years ago. My ideas didn’t quite work out the way I planned. First of all, out of 150 seeds, less than ten milkweed plants grew. (I’m sure this has more to do with my yard’s growing conditions and my lack of a green thumb. I have a green pinky.) They also grew very slowly. Only a few of them got big, but they never blossomed. 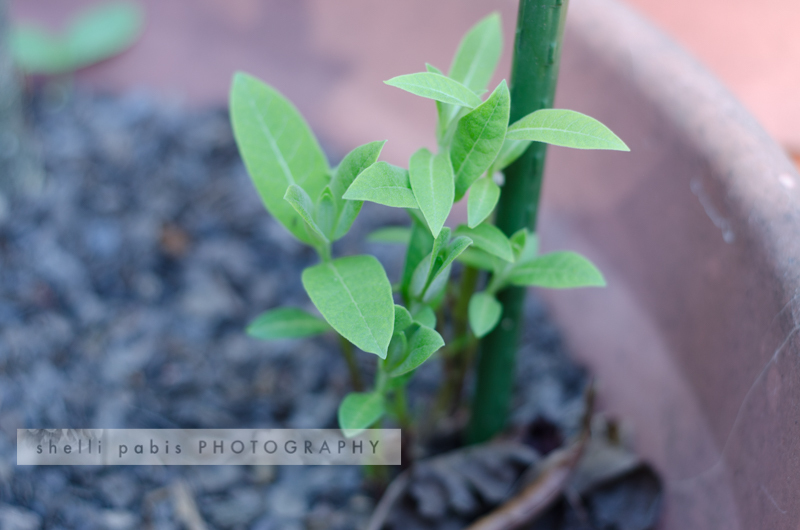 My milkweed plants. All of them. 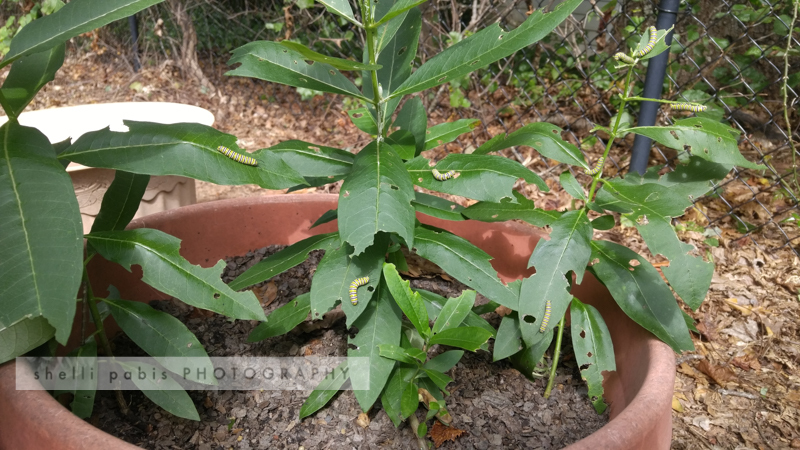 One day while I was watering the milkweed, I noticed some holes in the leaves. 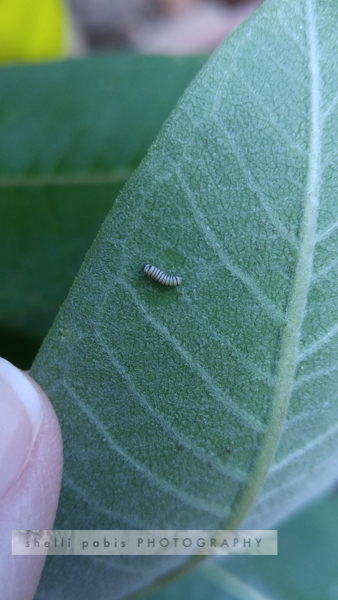 When I turned over a leaf, there it was — a tiny monarch caterpillar! 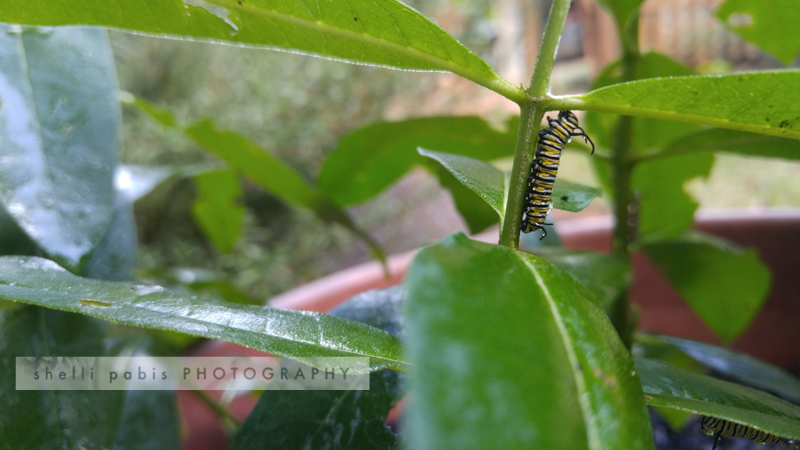 Baby monarch caterpillar. I couldn’t believe my eyes when I saw this little fella. They grew and grew. 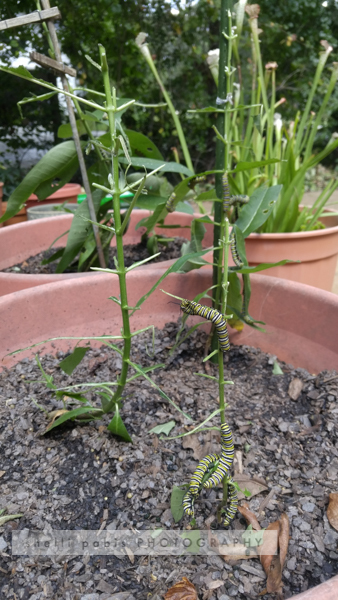 I wondered from the very beginning, if this little patch of milkweed would be enough for them, especially after they got big. We had another worry too. Tropical Storm Irma was going to come through here. 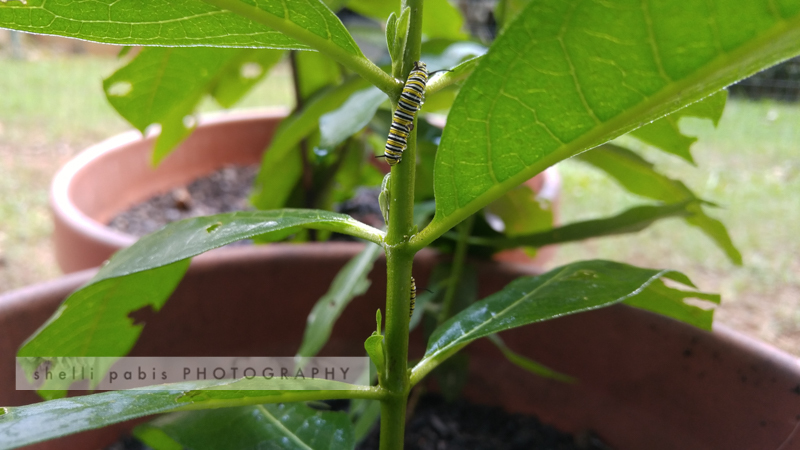 I noticed that a mere sprinkle of the hose to water the milkweed could knock down the caterpillars. They continued to eat and eat, grow and grow, and poop and poop. Just like caterpillars are supposed to do. It was quite amazing to watch. We were clearly going to run out of milkweed, so I asked around for help. 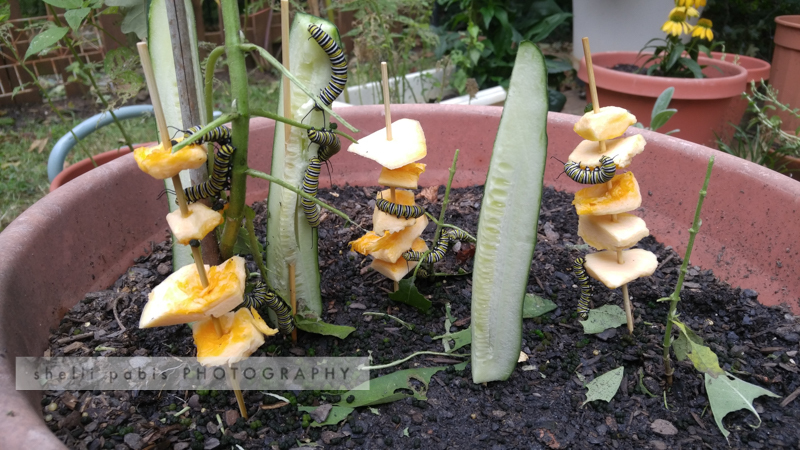 Someone on Twitter sent me an article saying that if the caterpillars are in their 5th instar, they will eat pumpkin and cucumber. So we bought some pumpkin and cucumber and put it in the pots, giving them a way to climb up, just like on the milkweed. 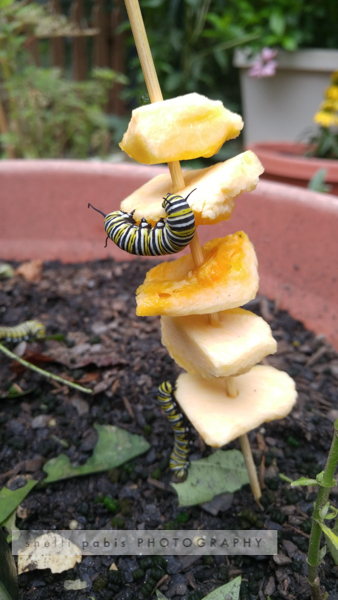 At first they didn’t eat the alternate food, but by the next day, the milkweed was gone, and they were eating it! We were so relieved. 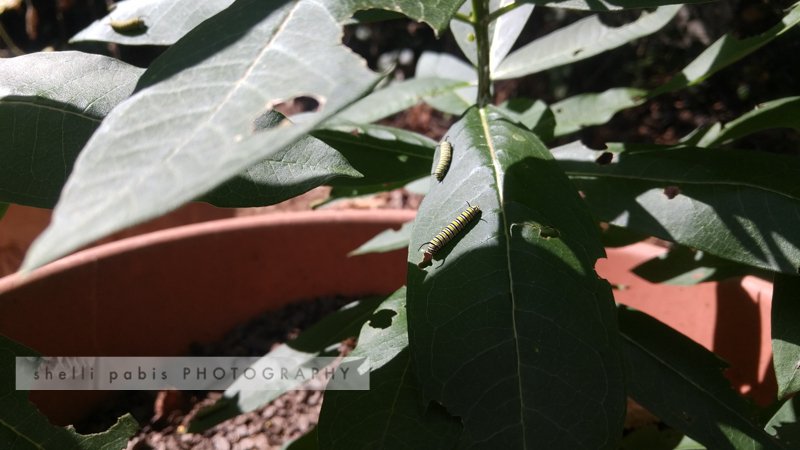 Not long after this, we noticed some of the caterpillars began leaving the pots. 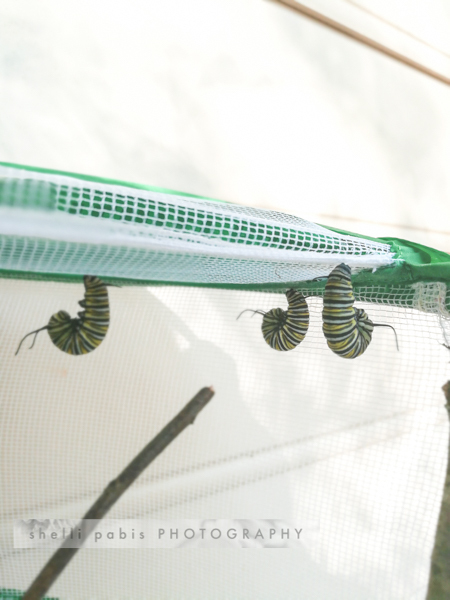 We knew they were probably going out to try to find a place to pupate. 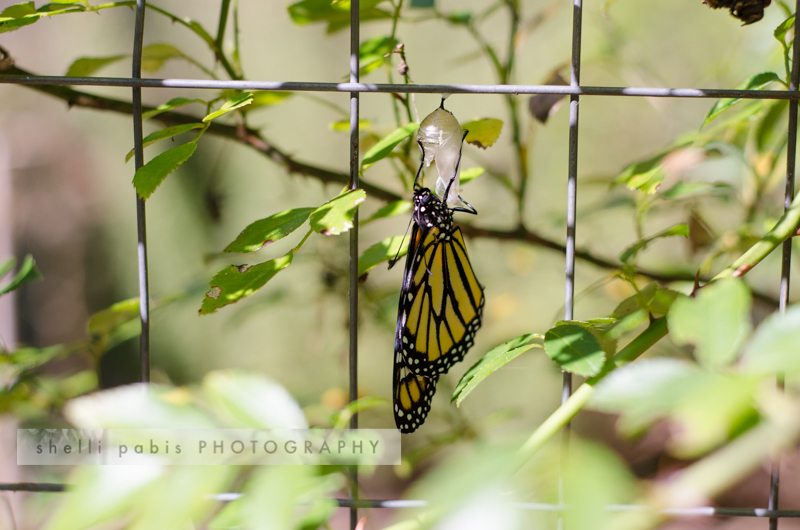 We decided to keep a few in our butterfly cage. I wanted the boys to be able to watch the metamorphosis, especially my eight-year-old, who doesn’t remember raising the painted ladies. 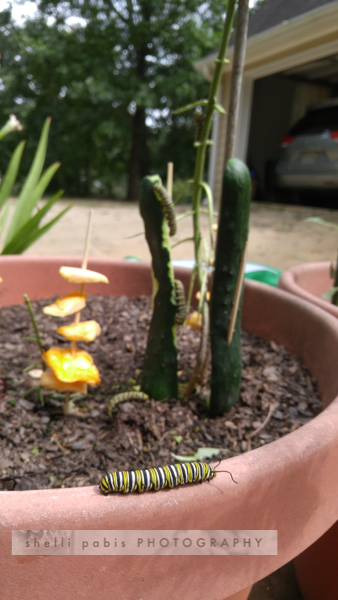 I also wanted to give a few of the caterpillars some extra protection. I put seven caterpillars in the cage, and let the other ones go on their own. When caterpillars are ready to pupate, they find a good place to attach themselves to with a silky thread and hang upside down in this J shape. They were like this for about one day at least. 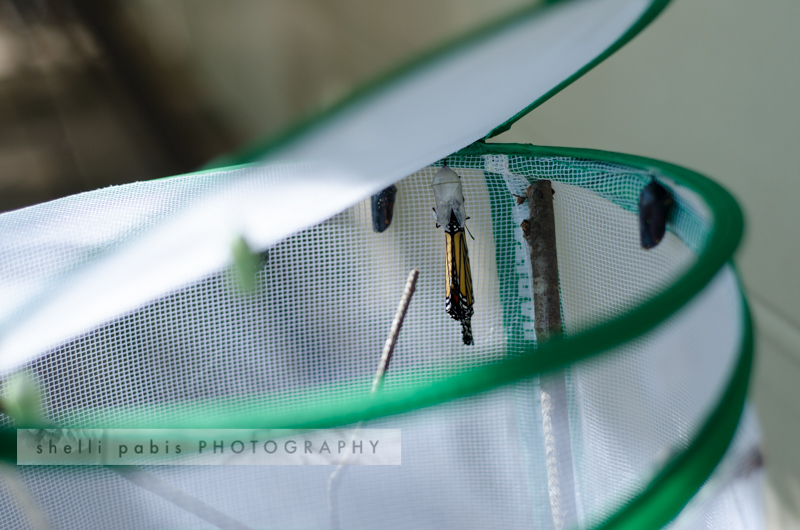 Notice the gold flecks on the chrysalis. So beautiful. 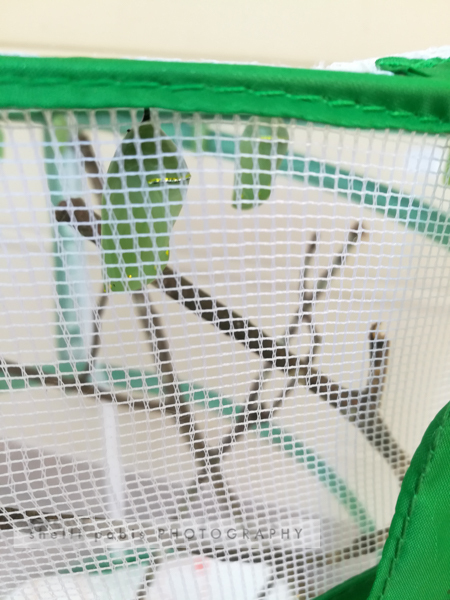 Pretty soon we had four chrysalises in our cage. A day or two later, we had three more. So far, so good. 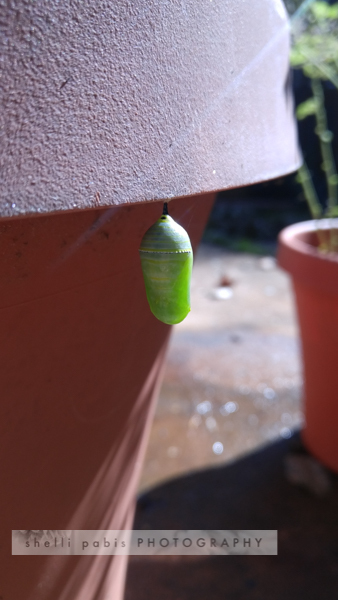 We were so excited to be able to watch one become a chrysalis! I hastily grabbed my phone and got these not-the-greatest videos, but still, it’s pretty incredible. 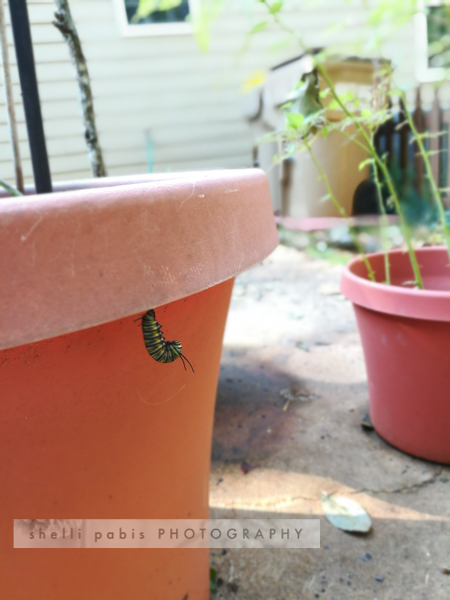 We also found a caterpillar hanging from one of the pots with the milkweed growing in it, and it made its chrysalis there. 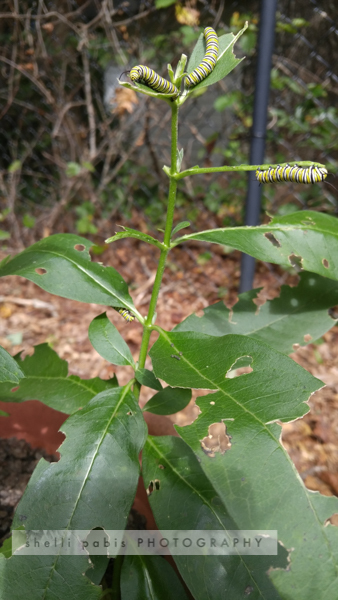 We were so happy to know where one of our “free” caterpillars went to. 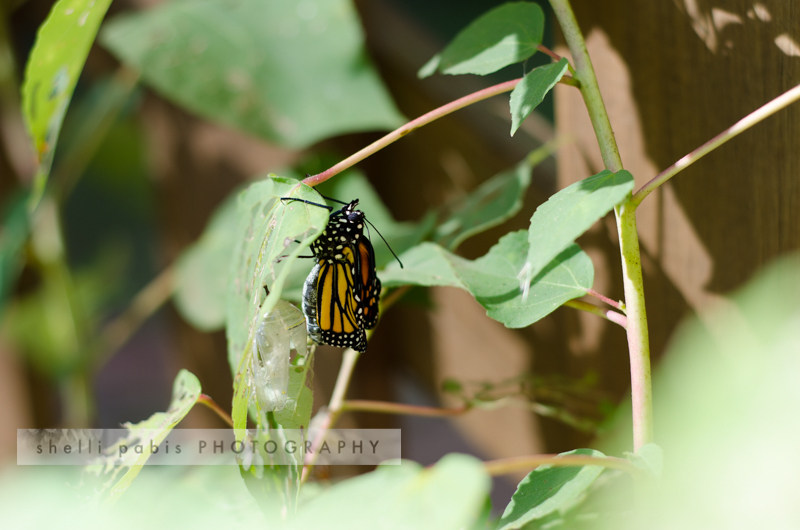 We looked around our yard for more chrysalises, but we couldn’t find any more at this point. 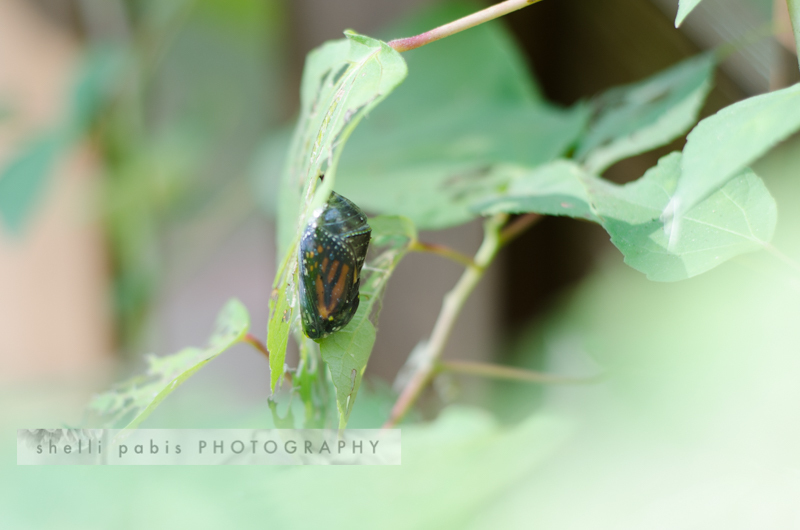 After about nine days, we began to notice that the chrysalises were turning a black color. 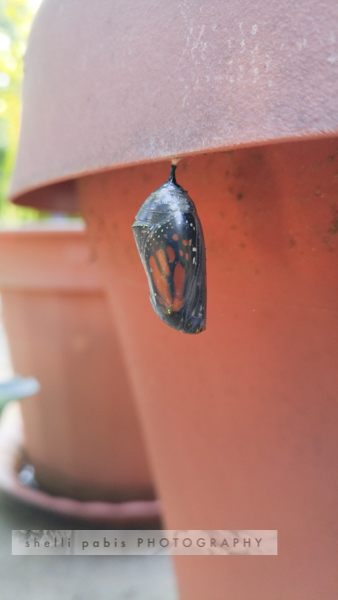 This is actually because the chrysalis is transparent, and we could now see the monarch butterfly’s wings inside this beautiful pupa. 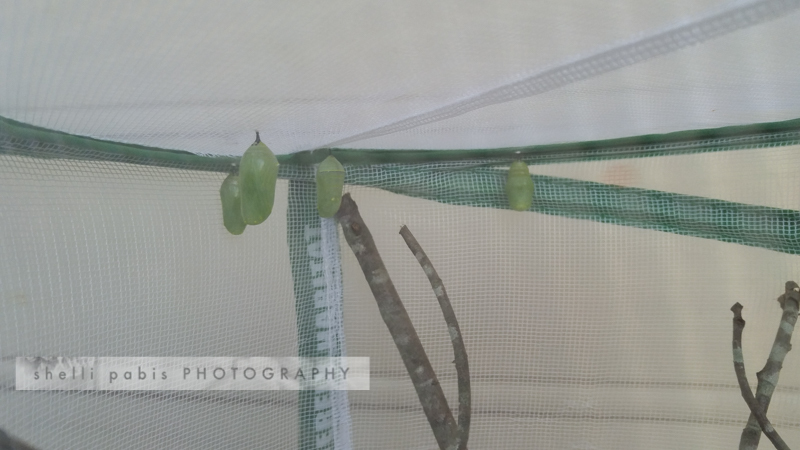 Exactly ten days after pupating, the first butterflies emerged from their chrysalis. I can’t tell you how excited we were. 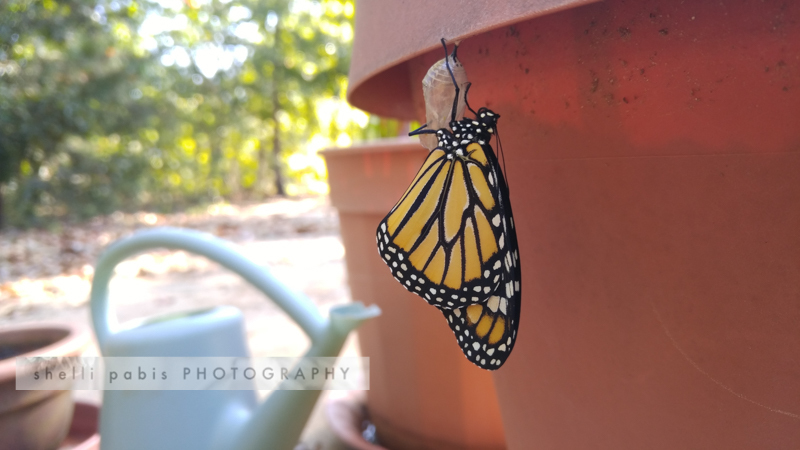 We ran over to check the chrysalis on our pot. It had emerged too! 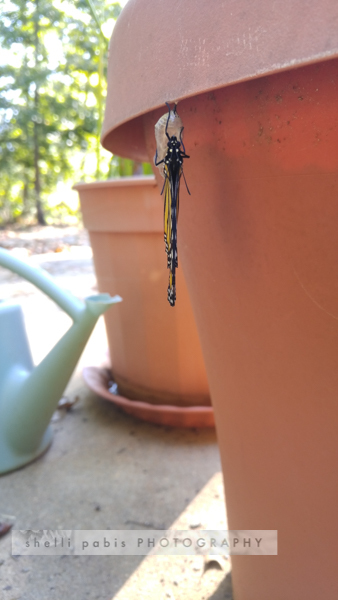 It stayed there for about an hour, opening and closing its wings slightly, letting them dry. My boys were there when it finally flew away. The wings will slowly spread out and dry. Another one we found on our garden fence. 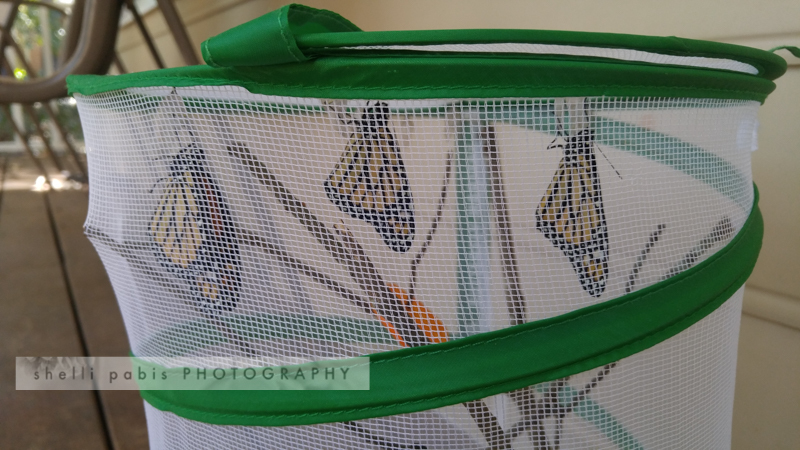 Throughout the day, four of the seven butterflies in our cage emerged, and we let them go as soon as they seemed strong enough to fly. 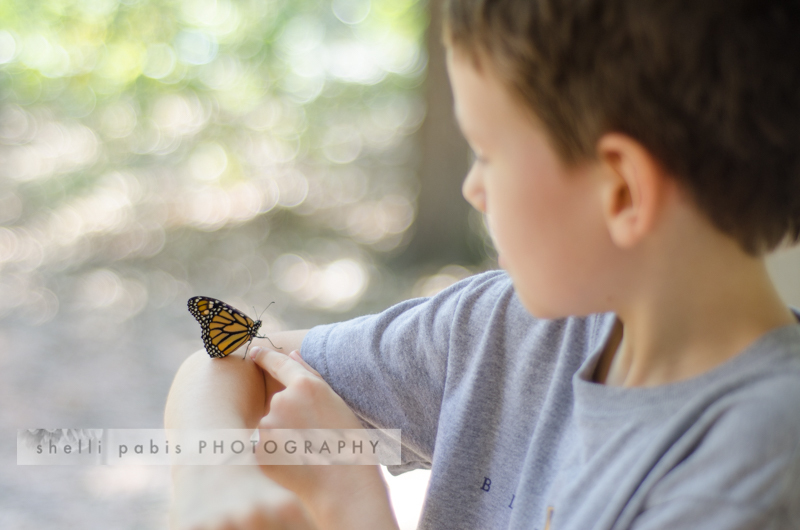 The next morning, the last three butterflies emerged, so we said good-bye to them too. 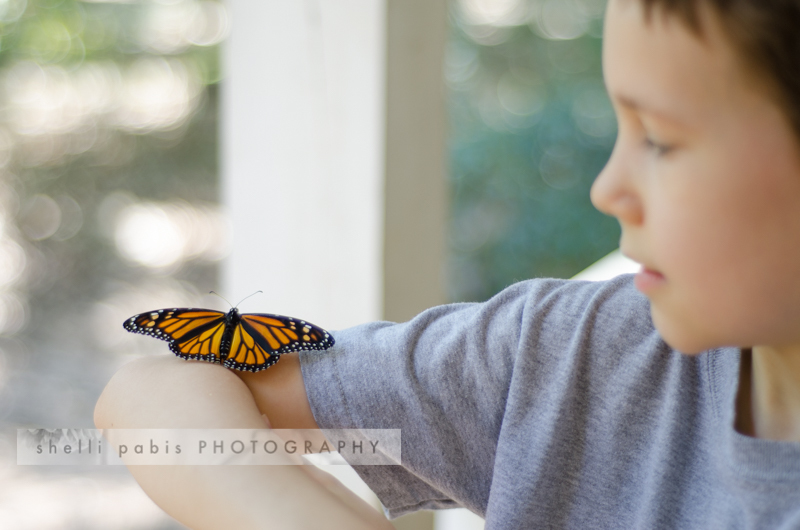 Now all the butterflies are hopefully on their way to Mexico where they will spend the winter. If you’ve never heard about the Monarch migration, or how they congregate together in one place in Mexico, you should read about it. I don’t think we’ll ever forget this experience, and it’s times like these that I’m especially glad we’re homeschooling. 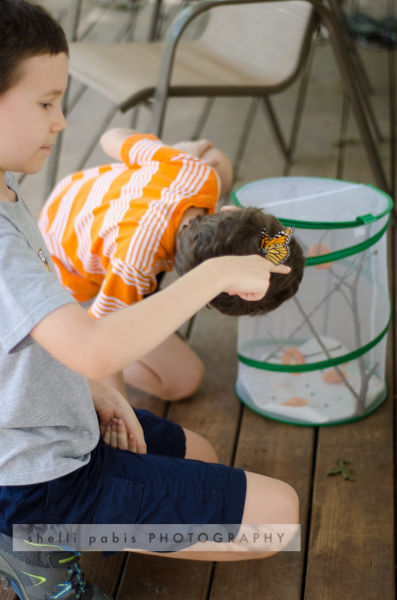 Most kids don’t get to stop what they’re doing and spend a whole weekday morning watching butterflies emerge from their chrysalises. But what better education is there than having an intimate experience with nature? What exciting experiences are you having this autumn? I’m so glad you shared such a delightful and wondrous experience on here! Your photos and videos are awesome. It’s really so amazing! I feel the same about homeschooling. It’s so freeing to be able to spend time learning from nature. I’ve been signed up to your posts for some time, but I never seem to have the time to comment. My daughter Jamaica and I love all of your stories, especially the ones about Nature. This one is a very awe-inspiring story, and by the end of it, I was crying while I read this sentence…. Yes. It is these kinds of experiences that are a large part of my family mission statement for why we home educate…..so there IS time to slow down and make that connection with the natural world, with family, and with the community and culture that is integral to who you are. Thankyou for inspiring us to get involved in the conservation and breeding efforts for butterflies. 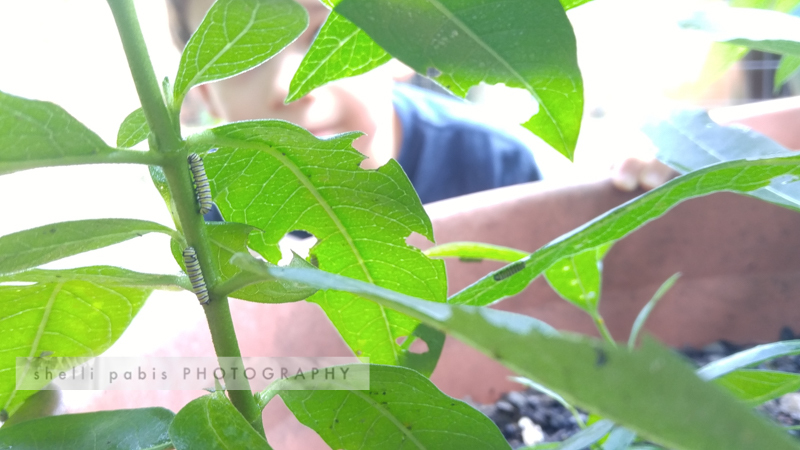 We have an insect enclosure that has been used to raise all kinds of other insects and bugs, and after seeing in your photos just how much they devour the leaves, we will plant LOTS of Milkweed before ordering any larvae. We will have to research to see if the requirements are different here for raising them in Australia. 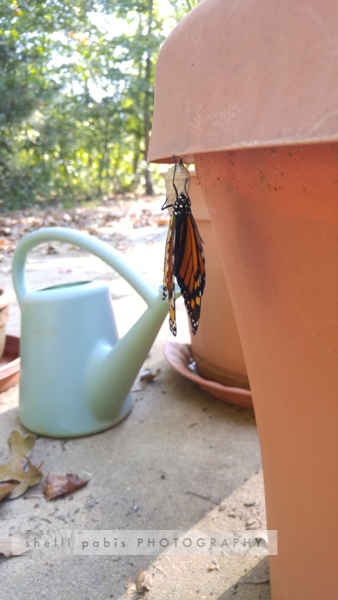 My daughter and I are now intrigued…..do the Monarchs here also fly all the way to Mexico?? Or is there a more local gathering place for the Southern Hemisphere?? This, and more, we will discover in our research. So wonderful that yours arrived naturally, rather than through the post. Word must have passed on the Butterfly grapevine that you were preparing for visitors. Kelia & Jamaica — Thank you so much for your comment, and I’m so happy to hear you’ve been enjoying my stories. The nature posts are my favorite too! Please let me know what you find out about your Monarchs. I imagine they probably gather in another place in the southern hemisphere. 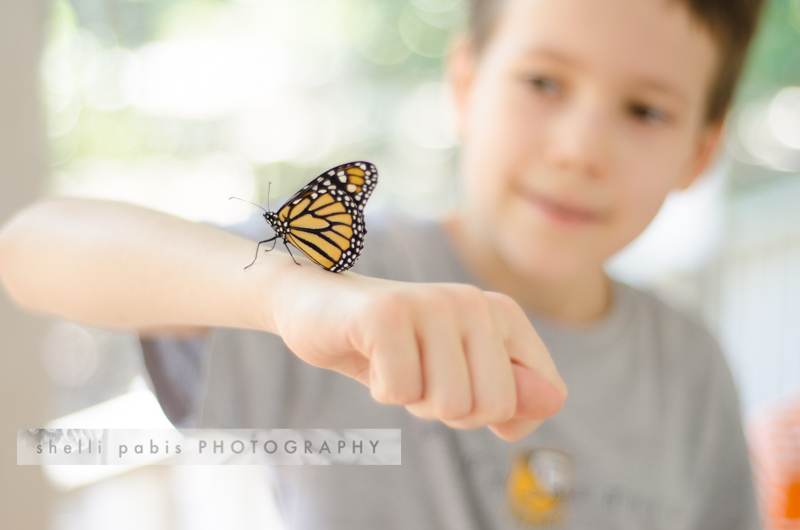 Our monarchs — in the middle and eastern parts of North America — migrate to Mexico, but the western monarchs actually gather together somewhere in southern California. I really need to read more about it myself! Shelli, This is a FANTASTIC blog post! Wow! I love all of the photos and videos to show what happened. Amazing. Thank you for sharing! Thank you so much, Nancy! I take that as a big compliment coming from you!